We couldn't not do a tonal pink outfit with our gorgeous coats as its this seasons must have colour- so why not wear it head to toe! 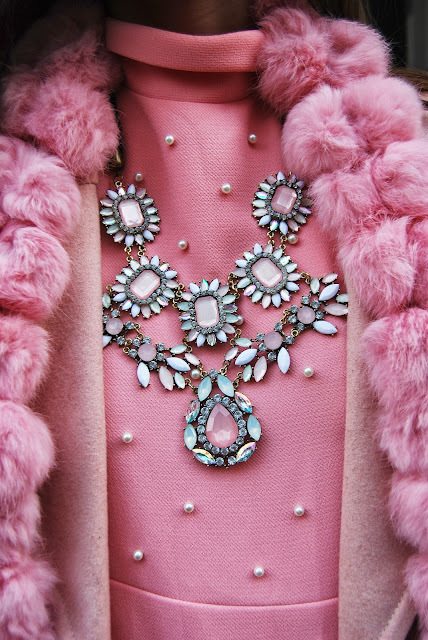 I have discovered my love for pink this year and gone all out with tonal dressing. For this look I wore this amazing dress from Sister Jane which is due to hit down in stores in November! 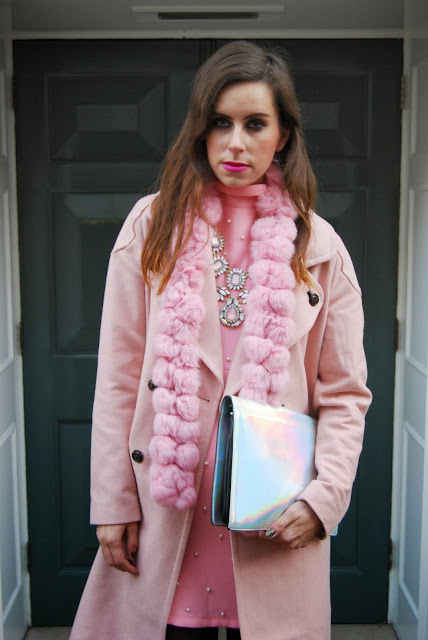 The gorgeous high neck and all over pearl detailing is enough to make any girl swoon and I loved it with the pink coat. I like busy outfits with lots of interest so wore my statement necklace from .... And amazing fur scarf from Frock On Vintage. It's freezing outside so weather appropriate with a black tight and a black heel. My holographic clutch from Zara picked out the colours in the outfit perfectly. Wearing a slick tonal outfit allows you to play up the accessories and texture to add interest. I hope you have been enjoying our collaboration with ASOS FF and stay tuned for the next 2. I am in love with that dress!! It looks amazing on you.